Gin infusions are great. 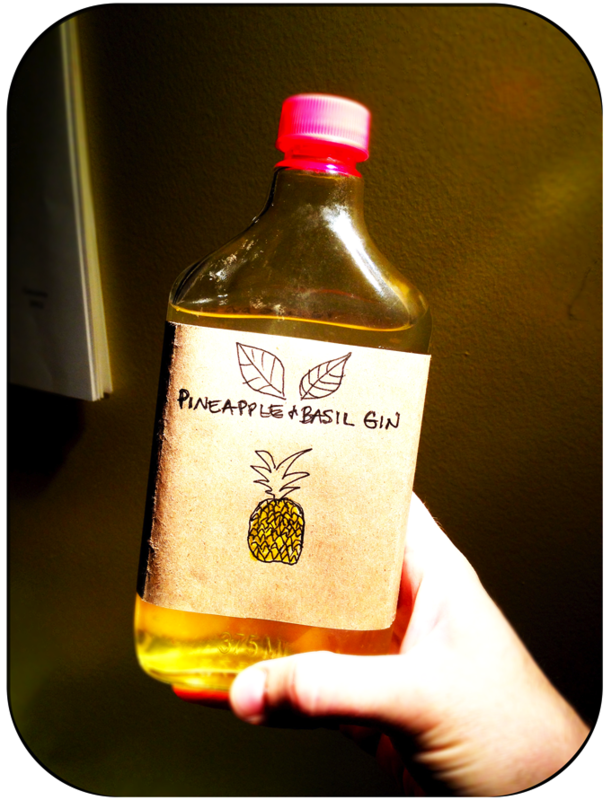 Gin infused with pineapple and basil– an instant hit. The recipe is simple. Waiting patiently for the flavor to infuse is the hard part. I followed these basic instructions for infusing spirits. As always, my measurements were approximate. Basil has a stronger presence than pineapple, so I added the pineapple pieces first and only added the basil leaves on the last day of the infusion. The pineapple sat for a total of four days and the basil sat for one day. I then strained the infusion through a coffee filter to remove the pineapple and basil and transferred the infused gin (with the help of a funnel) to a reused maple syrup bottle. It’s really that simple!